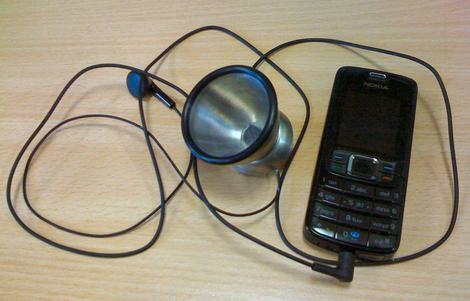 A simple, yet ingenious kit has recently been developed that turns a low cost mobile phone, not a smartphone, into a sophisticated stethoscope. While smartphones seem to be ubiquitous, there are still millions of people throughout the world that rely on regular, basic featured, low-cost mobile phones. Since every mobile phone has a sensitive microphone, this kit has the potential of saving many lives in countries without a developed healthcare infrastructure. We discussed various ideas of being able to remotely monitor their heart in a low-cost way to pick up early signs of deterioration. The idea of using the phone’s microphone as a stethoscope to analyse and record heart sounds came after seeing the iPhone app iStethoscope, and I wondered if we could do something similar using low-cost phones. There were various technical challenges that had to be overcome before a prototype could be developed. Chief among them was developing algorithms that would reliably identify heart rate and sounds. Since low cost mobile phones are designed for voice only and have economical microphones embedded, distortion exists. Signal processing techniques had to be created that would identify a poor recording and ask the user to try again. Nokia is one of the largest manufacturers of low-cost mobile phones, making them a natural choice for the trial where 150 volunteers were gathered. A phonocardiogram was recorded using the Littmann, the iPhone, and the Nokia 3100 Classic for each person who had a range of cardiac conditions. The results were a bit surprising as the Nokia actually out-performed the Littmann in estimating heart rate, although it had to discard more low signal quality recordings. The next steps for this project, according to the website, includes expanding the scope of the device to see if it can be used as a screening tool for patients with heart disease, particularly rheumatic heart disease, which has a particularly high prevalence in southern Africa. This is a picture of the prototype.